Robert (Bob) Pressler has been the owner of Kimura Bonsai Nursery in Los Angeles since 1996. 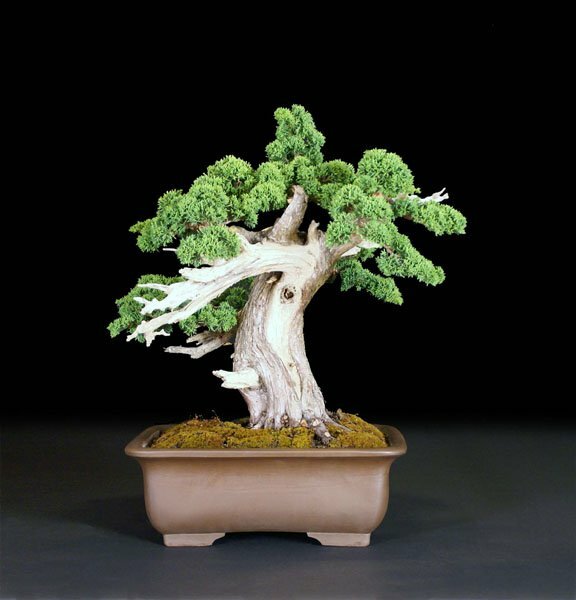 He is a member of the California Bonsai Society and John Naka’s club Nampu Kai. He has studied with a variety of teachers, starting informally with Frank Okamura at the Brooklyn Botanical gardens in the early 70’s when he was a boy. He moved to California in 1984 and a couple of years later meet John Naka, Ben Oki and the whole crowd of Southern California bonsai artists and clubs which really helped him expand his skills and gave him the opportunity to share them with others. In 2000 he met Kenji Miyata at a convention in CA and since 2001 has been studying with him. He conducts several classes a month at his nursery as well as demonstrations and workshops for clubs near and far. The 110 tree forest in the photograph was created in 2001 as a memorial to the events of 9-11. It was so nice to see so many BCSB members at the Bonsai-A-Thon at the Huntington. It is always a worthwhile trip. Keith, Ann, and I drove to Templeton to visit the Sommer’s Nursery. We did find some material to demonstrate on during our show and Ann has volunteered to style and pot a few others for sale at the show. We are making great progress with bringing everyone up to having confidence in transplanting techniques. Possessing those basic skills will pay off years down the road when your trees are reaching a mature stage. Along that line, Daniel and Nathan will be traveling to Pasadena in a few weeks to assist Ted Matson transplant the Huntington’s bonsai azalea collection. We will be looking forward to hearing about the tips they will be learning. John Bleck has the forms ready for your donations to the silent auction to be held on Saturday and Sunday during our show. As you select the items you would like to contribute, please let John know. Joe Olson and Daniel Martinez are nearing completion of the club’s new website. That should be up and running soon. I will be looking for four volunteers to distribute the “rack cards” advertising our show at four areas of the city in a month or so. If you are interested, please let me know. This is one of those fun and rewarding jobs. The advertising we did last year, in conjunction with that of the Botanic Garden, was very worthwhile. Movement. All trees, except maybe chokkan, must have an interesting shape, or “movement”. Taper. All trees, even bunjin, must have pleasing taper, both in trunk and branches. “Trunk chops” often cause problematic exaggerated taper. Segmentation. Growth spurts cause segmentation of trees. These segments must have similarity in form and shape. Compression. 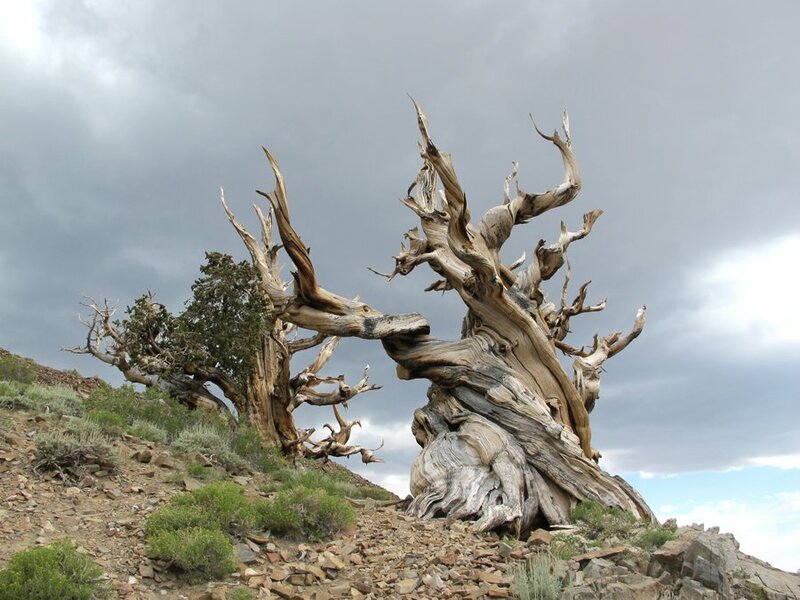 Spaces between segments of the tree should diminish as they go up the trunk and give the sense that the lowest parts of the tree are the oldest. Remember the rule of thirds. Ramification. The fine branching we are always shooting for is easier to accomplish if the other four elements are good. Design flaws in our trees can usually be traced to flaws in one or more of these five qualities. 9 AM until noon, Room 8, Goleta Valley Community Center. Ann Erb, instructor. Third of four workshops on the second Saturday of the month with the club’s own talented Ann Erb. Contact Ann Erb or Tom Post if you want to come. 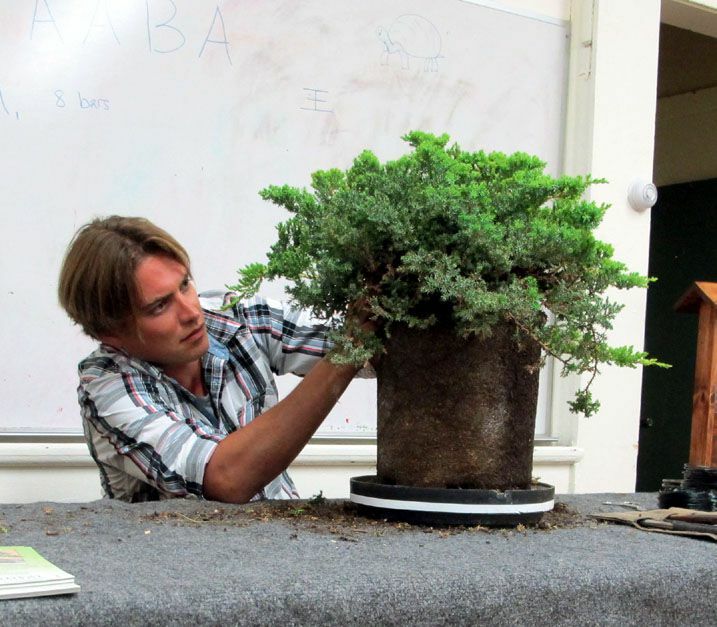 MARCH 15: BONSAI CLUB OF SANTA BARBARA: SATURDAY WORKSHOP WITH GUEST INSTRUCTOR. 9 AM until noon or 1 to 4 PM., Room 7, Goleta Valley Community Center. Mel Ikeda, guest instructor. Contact Wally Kunimoto if you have a question. 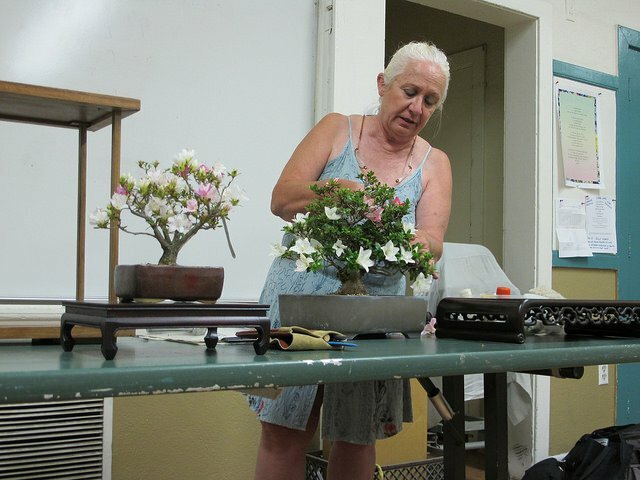 APRIL 8: BONSAI CLUB OF SANTA BARBARA: TUESDAY EVENING MEETING. Leroy Kubel’s annual entertaining review of the past year’s events. Our annual show and plant sale at Santa Barbara Botanic Garden. 11:00 AM -4:00 PM on Saturday; 9:00 AM -4:00 PM on Sunday. Mel Ikeda will do a demo a 1:00 PM on Saturday and Ann Erb will do Sunday’s demo. Plant sale, silent auction, and an informal exhibit of California natives as possible bonsai will be included. Please plan to show a tree, and, as usual, volunteers will be needed to help set up and tear down the show. View their web site for more information. CBS always puts on a great show but their publicity stinks. Fortunately, the Huntington compensates for them. Go see the show if you possibly can. The March/April Santa Barbara Botanic Garden’s newsletter (PDF) Ironwood has a nice article about our club and our show on page 11. It’s a very nice article and good publicity for the club. I also learned that our beginners workshop will beheld at the Garden on May 31 this year.